Check out these 15 awesome knitted kids’ toy patterns that your little ones are sure to fall in love with. 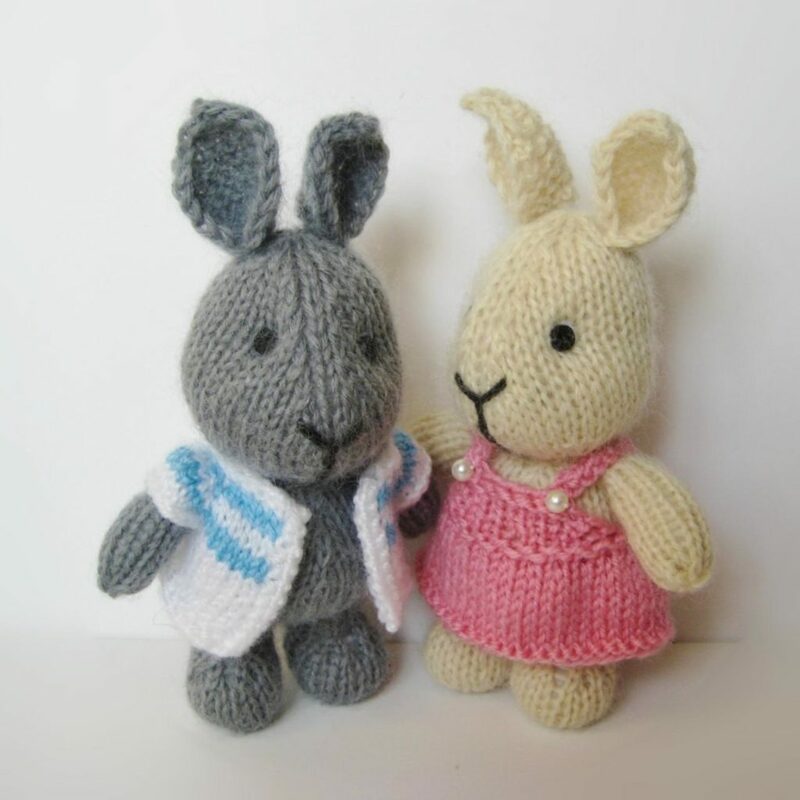 As if the idea of a knitted elephant wasn’t cute enough, this pattern from Love Knitting shows you how to make a little elephant character who wears her very own little floral dress. Kids always love animal toys, but if your children are anything like ours, they love them even more when they look like little kids too, just like themselves! 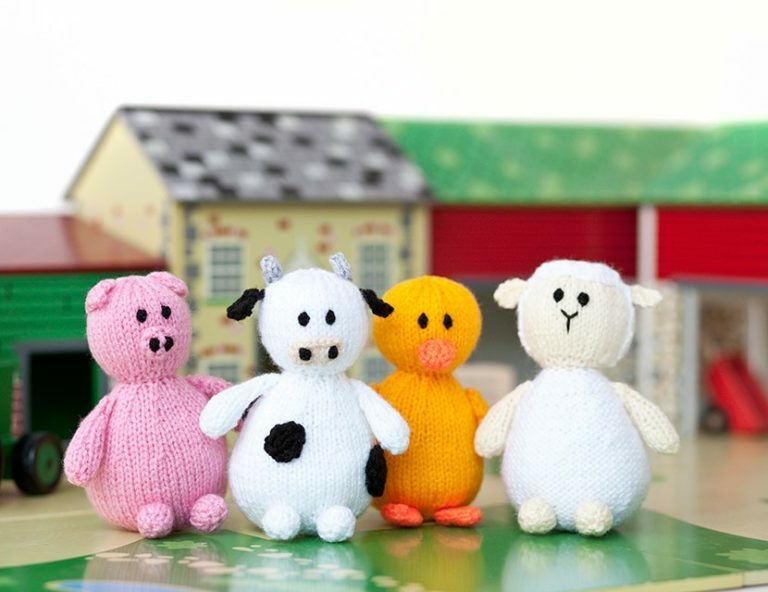 Are you looking for toy patterns now because you’re only just learning about shaped knitting and you’d like to get a nice head start for Christmas? Then there’s no harm in browsing a few holiday patterns in the spring! 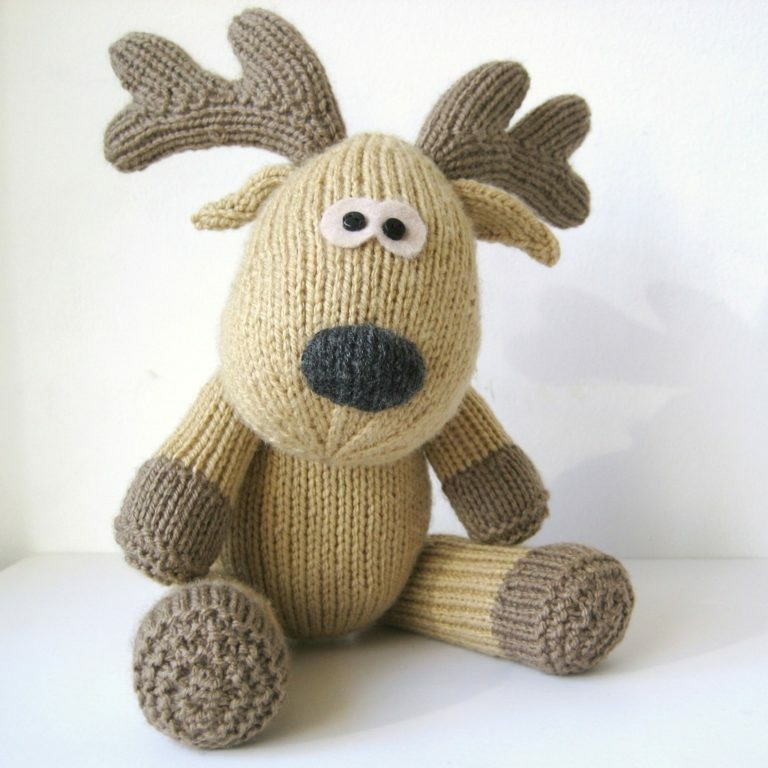 We love this adorable plush reindeer doll from Luulla, especially once his cartoonish felt and beaded eyes are added. He looks so inquisitive! 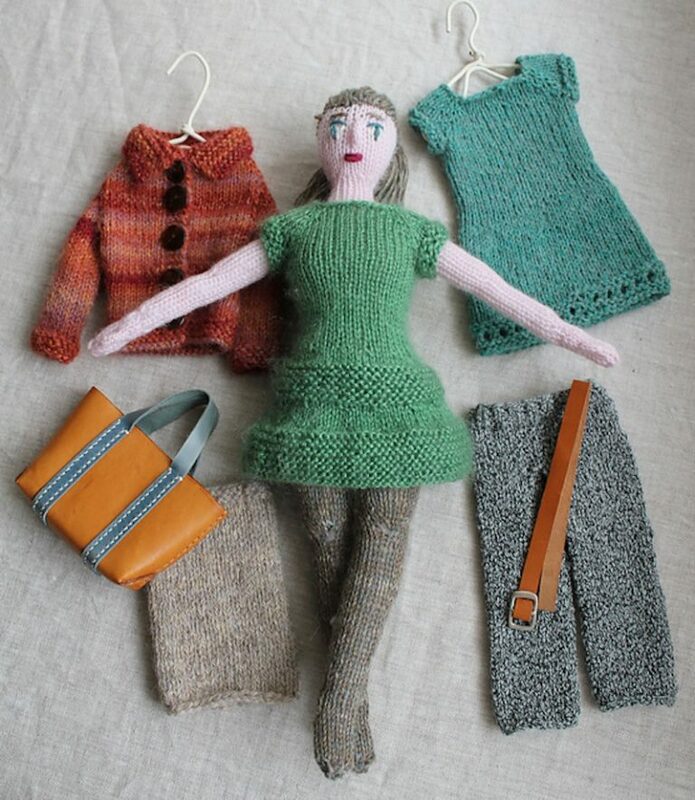 Knitted dolls are always a winner, but this little doll, affectionately named Betsy Button, just takes the cake for us. Perhaps it’s her little hat, or the way her purse matches her dress and shoes. Maybe its the buttons that inspired her name or the yarn hair that A Knitting Blog gave her. 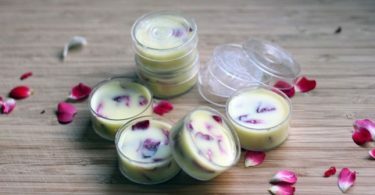 Whatever it is, we plan to make our own Betsy as soon as we finish sharing this list with you! Are your kids a little bit older and starting to want toys that do more interesting things, even though they still loved a good stuffed animal? 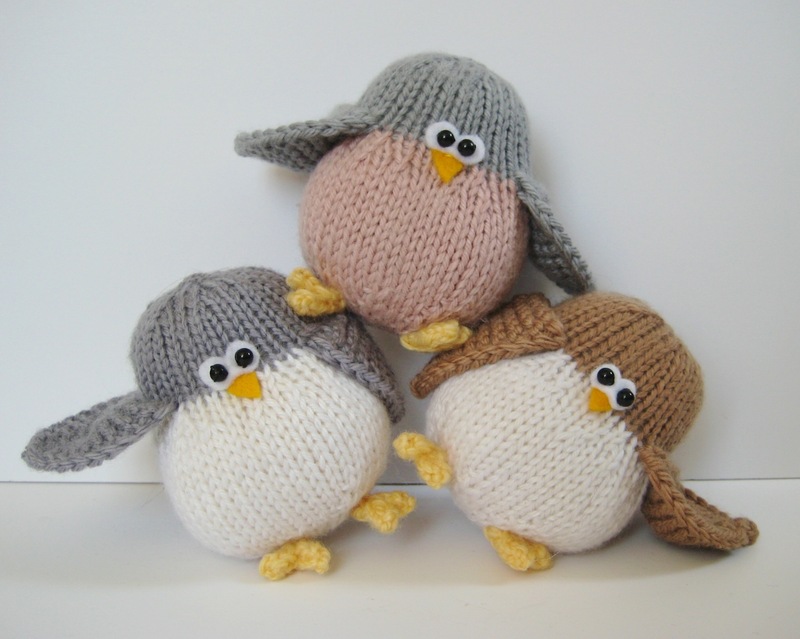 Then these hilarious little juggling birds are just what they need. 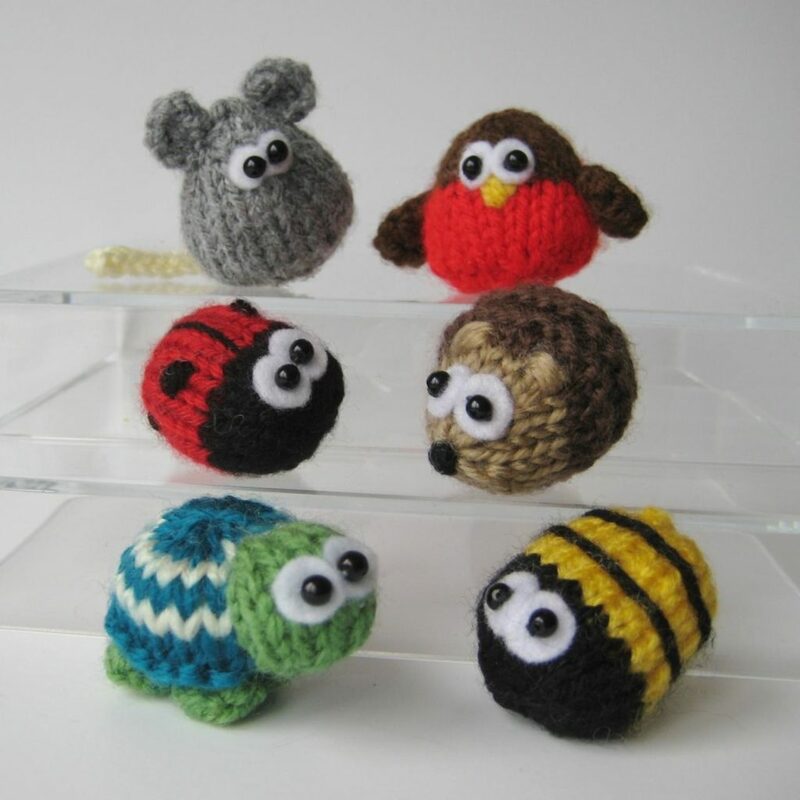 Luulla guides you through the process of knitting the birds’ perfectly rounded bodies and stuffing them just right so that they fly through the air easily and help your kids actually learn to juggle while also playing pretend, making their birdies fly high. Sometimes it’s nice to just knit your kids something soft and comforting that they can snuggle as they drift off during nap time or while they quietly read a book in the late afternoon. 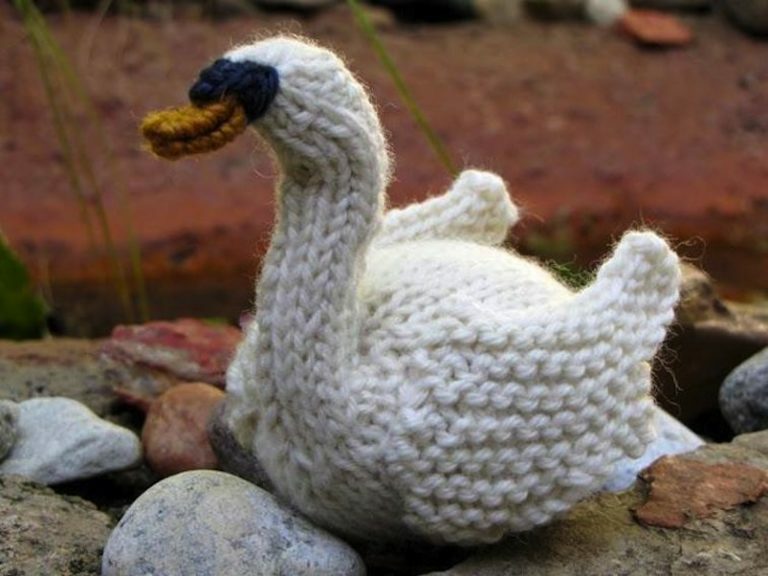 That’s why we liked this gorgeous (yet surprisingly simple) swan design from Mamma4Earth so much. The softer the yarn you make it with, the more loved it’ll be. 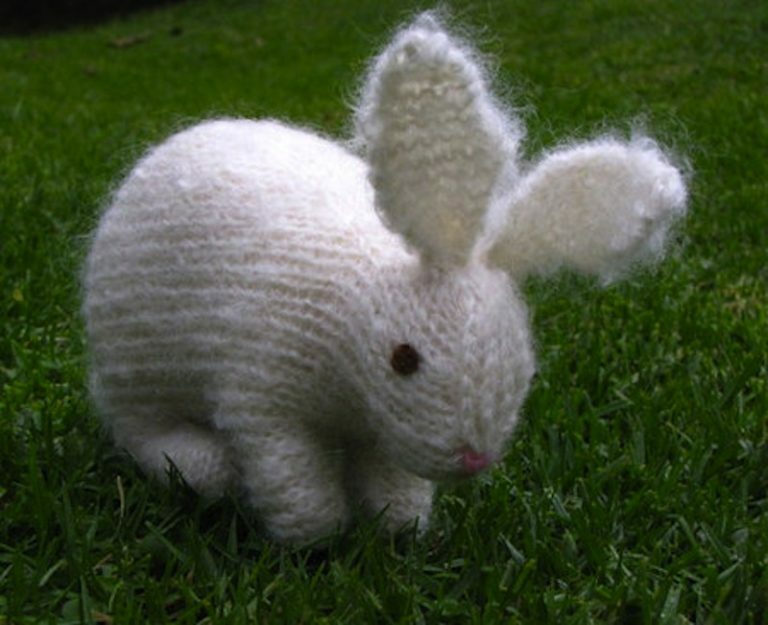 Speaking of things that are best made with super soft yarn, look at this incredibly adorable crouching bunny pattern from Craft Foxes! We love its ears and the curious way it looks up at you, as well as its little pink nose. This is the kind of soft toy that our kids would become attached to and carry around everywhere until the poor thing practically unraveled (which naturally makes it totally worth knitting)! Have your kids been begging you for a puppy lately but you’re just not sure that they’re quite ready for that responsibility, particularly since the dog will inevitably become your responsibility? 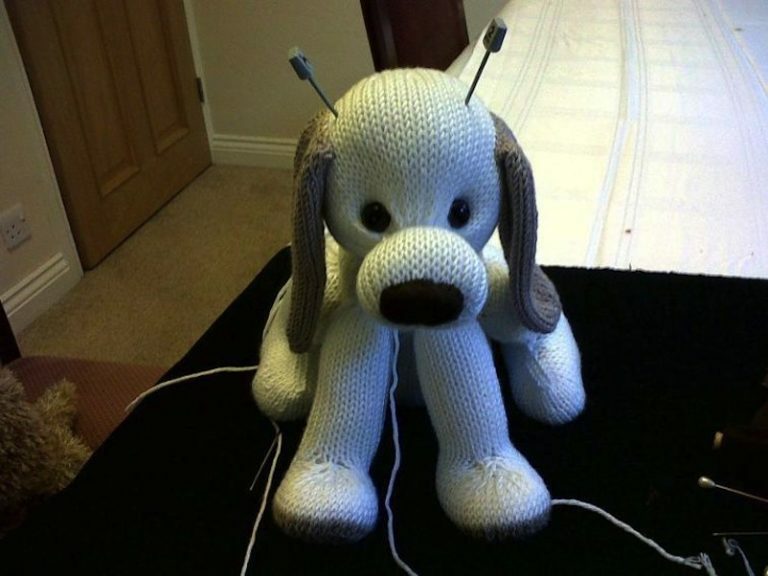 Then perhaps you can try distracting them with an adorable knitted dog for the time being instead! Huggable Bears teaches you how to make a cute floppy eared puppy in a perfectly huggable size. Do your kids love nothing more than picking a favourite toy for the week and carrying it with them everywhere they go? 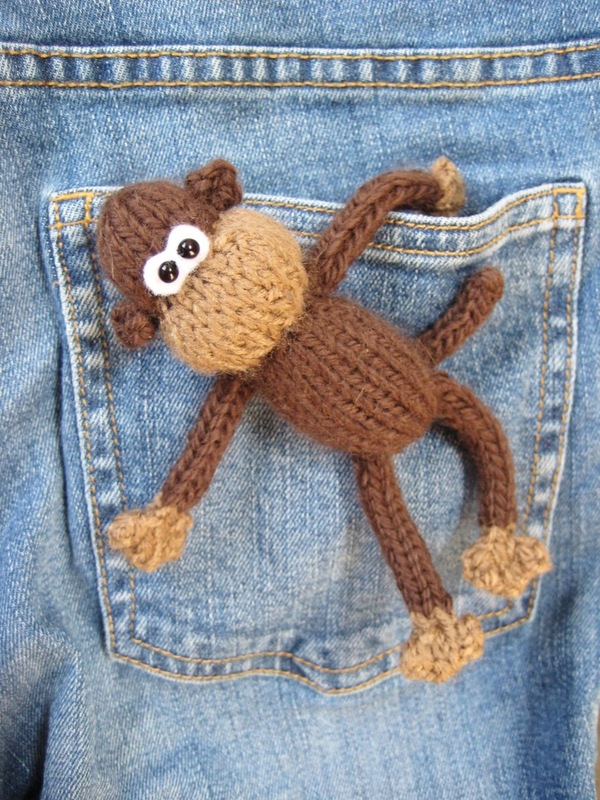 Then this adorable little pocket monkey by Luulla might be the perfect gift for them! He’s a pretty quick knit because he’s nice and small, but the fun they’ll have with him is a lot bigger than his pocket size. Perhaps your kids are still quite little and tend to become attached to blankets more than toys right now? 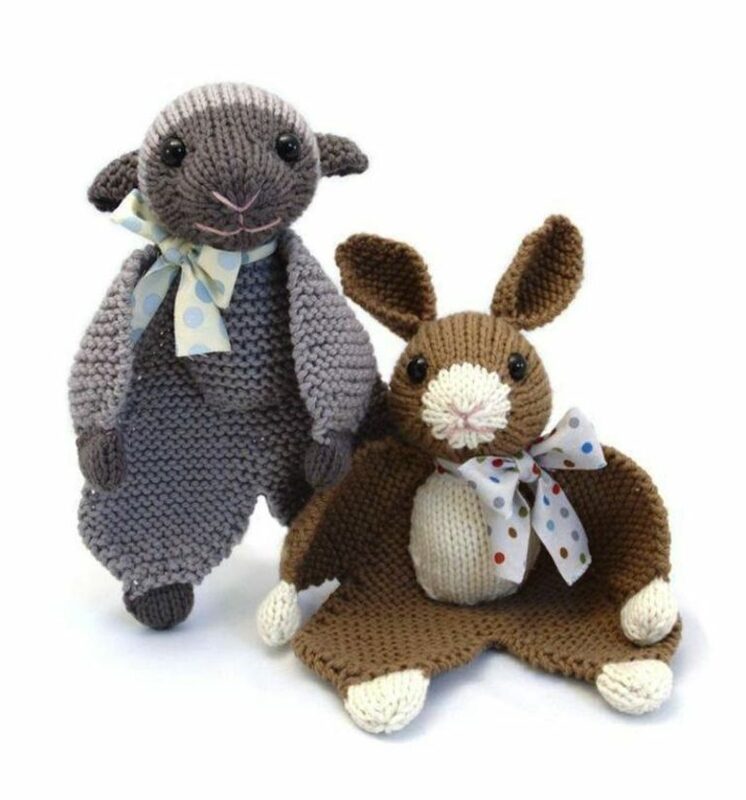 Then choose a good transition toy to knit them, like these adorable flat lambs and bunnies by Fuzzy Mittens. Besides being possibly the cutest things on this list, they’re also super nap time friendly, which is always a plus with little kids. Are your kids only just discovering the magical world of woodland sprites, pixies, and fairy tales of all kinds? Then they might prefer something like this cute little rose fairy doll over knitted farm animals! Deramores shows you how to make this little fantasy friend from top to bottom, right from her wings to the cute little rosette in her hair. Are your kids very young in reaching the stage where they’re obsessed with tiny objects that they can carry around as they toddle from room to room? 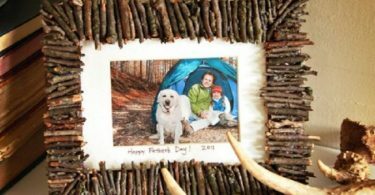 Ours were always getting their hands on unsafe things at that age, so we knit them some kid-friendly trinkets that were perfectly okay for them to gran, grip, and run off with! These adorably rounded animals from Luulla are the perfect compromise for grabby toddlers. 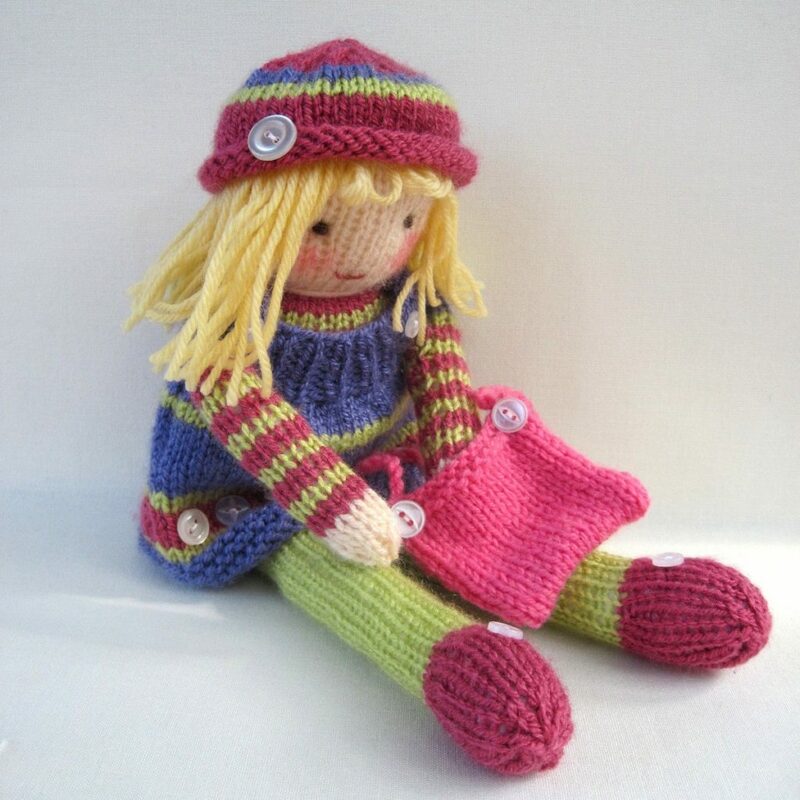 Have you quite enjoyed the idea of making knitted dolls so far, but you’re hesitant to knit your kids toys that have their clothing built in because you just know your kids are going to want to change their outfits? Then check out this adorable doll pattern from Nioknits instead! Knitting a doll and a dollar wardrobe in yarn this thin might feel like quite an undertaking, but it’s the kind of toy that kids will play with for years and, if it’s properly taken care of, perhaps pass down to their very own children someday. We already talked a little bit about magical fairies, but perhaps your kids are a little bit older and becoming lost in a world of their own each night when they read fantasy books full of wizards and dragons? 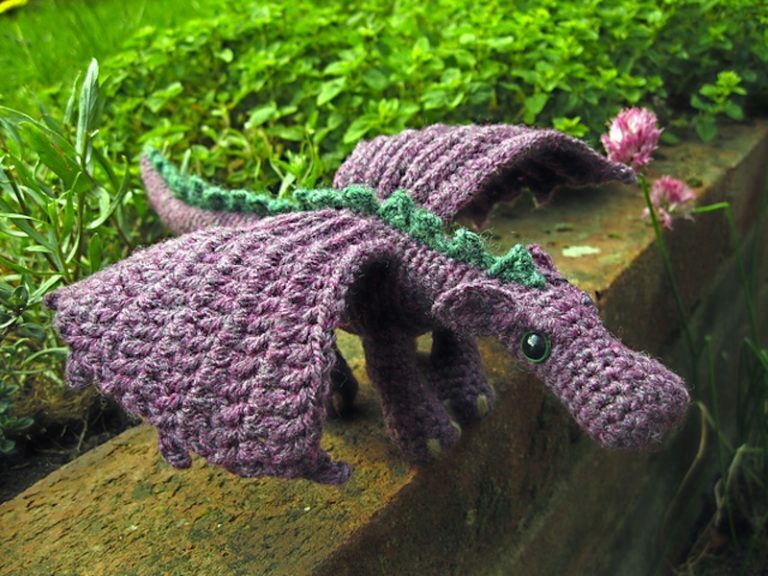 Then knit them this adorable little dragon doll by Lucy Collin so they can go to sleep snuggling a fire breathing friend just like the ones they read so voraciously about! What’s better than a pattern that lets you make a single toy for your child to play with? Well, one that shows you how to make a pair, of course! Luulla guides you through the process of making a set of bunnies that can be friends with each other just like your kids make friends in real life. Adorable games will no doubt ensue.